The GoPro HERO4 was pretty compact, slick and durable for what it was worth but surely, didn’t really fit into a pocket. Which is why the GoPro HERO4 Session has been announced as the company’s smallest action camera offering to date. 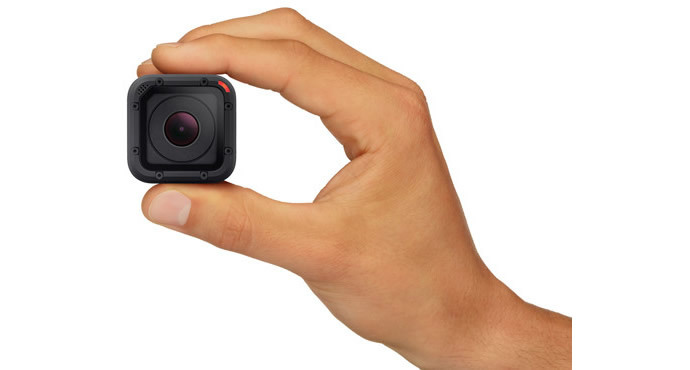 It is half the size of the HERO4 and weighs nearly half of it. It has already won the accolade of being the most comfortably worn GoPro camera, given its size. The waterproof casing encloses a camera that can shoot 1080p resolution videos at up to 60 fps and 1440p video at up to 30 fps. It also offers photography at 8-megapixels resolution in Single, Burst and Time Lapse modes. A single charge can manage two hours of continuous recording. The minimalist design makes interaction with the device simple as well. All it takes to kick this one into action is a single press of the shutter button. It also offers connectivity through Bluetooth and Wi-Fi and comes rigged with a dual-mic system. The GoPro HERO4 Session will release on July 12th for $399.